Microgaming has launched two amazing slots this month! One of the biggest gambling software developers has unveiled this month two of the most amazing Online Slots you have ever imagined playing. The first one, launched on the 7th of June is set in the amazing world of the Ancient Egypt. Wild Scarabs is a 5x3 reel online slot, which has big rewards for those of you who discover its treasures. There is even a feature for players with no luck: collect non-winning wild scarabs and win! Once you have stocked three or more of them, they are released back, and you may be rewarded. You have 243 ways of winning and this is not everything! 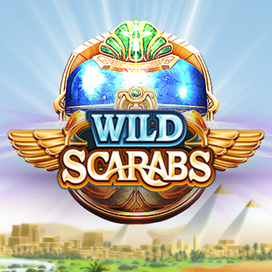 When you collect three wild scarabs, you also unlock 10 extra spins. 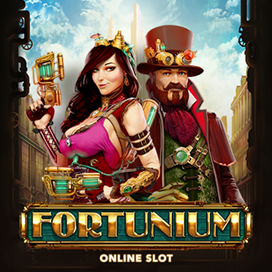 Created by Stormcraft Studio in exclusive collaboration with Microgaming, Fortunium is a 5x5 reel online slot launched on the 20th of June. Discover the exquisite steampunk world in the Fortumium metropolis. Victoria and Maximilian are the main characters of the game, who benefit from incredible graphics for in order to provide an enchanted user’s experience. Among its features, we remind you of the Mystery Symbols, that can give players supplementary winning chances, Win Booster, which turn the Mystery Symbols into high winning ones and Mystery Reels, which are filled with many Mystery Symbols. The latest Microgaming online slot games can be operated on all devices: laptop, desktop, tablet or mobile phone. On the last platform you can enjoy the products on both portrait and landscape modes with incredible graphics. What else are you waiting for? Wild Scarabs and Fortunium are great gaming products that need to be played as soon as possible. Do not let the news cool, place your bet and start playing these new games!